In this review of VOYA Life Insurance, formerly ING, we discuss the company’s pros and cons and offer our readers an alternative. VOYA is one of the best life insurance companies available. However, there is no one size fits all company. Give us a call today to see what company is the best choice for you. ING U.S. is becoming Voya Financial. Voya Financial issues life insurance products under ReliaStar Life Insurance Company. The company changed its name and logo from ING to Voya as part of the process for it to become an independent company after separating from ING Group. Voya is the parent company of and issues life insurance products through ReliaStar Life Insurance Company of New York (Woodbury, NY) and Security Life of Denver Insurance Company (Denver, CO). Before launching into the all the Voya pros, take a moment to watch the below video that helps shed some light on the importance of comparing life insurance quotes and companies. Voya Financial, i.e. ReliaStar Life Insurance, is a top pick at TermLife2Go. If we had to rank them they would probably be in the top 10 in terms of the products offered and the niches filled. Voya is a solid life insurance company as we will detail below. As of August 18, 2015, Voya Financial, via ReliaStar Life Insurance Company, has an A rating from A.M. Best Company. An A (Excellent) rating is the 3rd highest of 15 ratings. Voya Financial is on solid financial footing. Therefore, you can sleep peacefully at night knowing that the company will be able to meet its financial obligations, including paying out a death benefit to your family should you die. Voya Financial offers a wide range of different life insurance policies. When deciding on what type of coverage is right for you it helps to have a basic understanding of the different policies available, how each operates, and what features are beneficial based on your own needs and goals. Additionally, knowing the major differences between term life vs permanent life insurance is critical so that you can tailor a policy to your lifestyle. For some people, term life is sufficient because it provides pure death benefit protection. However, for more and more people, permanent coverage offers what they need to help secure a financial future, along with establishing the ground work for financial freedom in the here and now. VOYA TermSmart product offering fixed 10, 15, 20, 25 and 30 year terms. In addition, VOYA ROP Endowment Term is available with fixed 20, 25 and 30 year terms. This is one of the only return of premium life insurance policies currently available in the marketplace. Voya Financial is an innovative, top universal life insurance company. The company’s indexed universal life insurance comes in several different offerings: Protector, Accumulation, Global Choice, Global, and Accumulator Survivorship Universal Life. VOYA Universal Life-CV allows clients the opportunity to build tax-deferred cash value that can be accessed for later use. Clients have the option of flexible premium payments that can typically be paid at any time and in any amount. VOYA Strategic Accumulator Survivorship Universal Life, also known as second to die insurance, provides a death benefit payout on the death of the surviving spouse. Indexed Universal Life or Survivorship Universal Life are excellent vehicles for estate planning, such as funding irrevocable life insurance trusts and business planning purposes, such as key man insurance and buy sell agreements. When offering a Voya Financial review it is imperative to acknowledge the company’s unique niches. VOYA does not inquire into family history for cancer. That is a huge advantage for a consumer who would otherwise qualify for the best rate class but due to a family history of cancer in mom or dad, the client can only qualify for a preferred rate class, at best. VOYA also has liberal underwriting standards for blood pressure. A client can receive a super preferred rate class with a reading of 135/90. Most carriers only allow up to 85 on the diastolic number. For clients age 61 and above a blood pressure reading of 140/95 will still be eligible for the super preferred rate class as long s resting heart rate does not exceed 70. VOYA is also a great choice for clients with high cholesterol. A cholesterol reading of 300 with a HLD ratio of 5 for men and 4.5 for women may still qualify for the top rate class. For clients 61 and older, the HDL ratio allowed jumps to 6 for men and 5.5 for women. VOYA offers a very liberal build chart for clients 61 and older. For example, a 5’10” individual can weigh as much as 216 lbs and still qualify for the best rate class. Finally, VOYA is a solid choice for older diabetic clients looking for life insurance. Please enter your info to get free VOYA life insurance quotes as well as quotes from dozens of other companies. VOYA is awesome in many regards. However, they are not always the best choice when it comes to life insurance because other companies offer superior universal and term life insurance rates and health classes in certain situations. For example, as you may have read in other VOYA Financial Life Insurance reviews, VOYA would not be the best choice if you just recently quit smoking. There is a company that will offer a preferred rate class with 1 year of no tobacco use. However, after a year of no tobacco with VOYA the best rate class offered would be standard. Another example is that VOYA does not offer the top rate class for clients who have a family history of cardiovascular deaths before the age of 65. Some of VOYA’s competitors either don’t ask about cardiovascular family history or only are concerned about deaths prior to age 60. While VOYA has some great products, the company comes up short on a no medical exam. This is problematic for those considering no exam versus exam coverage. For those with a fear of needles, or for those who believe they might have some latent health issue, choosing from among the best no exam life insurance companies could be a real game changer. The main point is that VOYA Financial, via ReliaStar Life Insurance, is but one of many companies available in the life insurance marketplace. That is why it is so important for people seeking VOYA Life Insurance Reviews to keep their options open. For customers looking to find the best deal on life insurance it pays to go with an agency that can offer you multiple life insurance companies. In this way you can be sure that you are getting the best company at the best price—for you. The name of the game is choices. At TermLife2Go, we focus on working with life insurance companies that offer a unique niche. Whether that niche is price, smoking, diseases, etc…our job is to know which company would be the best fit for you. We understand that those looking for VOYA Life Insurance Reviews are interested in their options. We currently represent dozens of the top rated life insurance companies. That number will continue to grow as more and more companies come to realize that it is to their advantage to carve out niches. It is knowledge of niches that allow us to find the best life insurance rates by age for our clients as we match up each client’s unique health or lifestyle with a specific company’s niche. That is the advantage of choosing TermLife2Go. If you enjoyed our article, VOYA Life Insurance Reviews, or have additional questions, please leave a comment below. I am enquiring on behalf of my dad who possesses an active policy in the Cayman Islands. The problem is that there is no longer a local agent which makes it very difficult to get any current update. My dad have contacted the customer services department in NYC and was informed that he would be getting his regular statements but that is not happening. Can you advise the best way forward. Give us a call at 888-234-8376 and we’ll see what we can do. It would be irresponsible for us to comment on your situation simple because we don’t know what type of life insurance policy that you purchased (term vs whole life) as well as the current status of that policy when you contacted Reliastar-Voya. 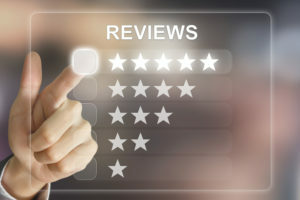 What we can comment on is that in our experiences Reliastar-Voya has always been a very reputable company so if you are in disagreement with them with regards to the current status of your policy, we would recommend that you escalate your concern to a manager so that you can get additional clarification. name is different every month. luckily my mailman delivers it anyway. i have called 4 times to report this and the bill i just got has a different name again. this fixed. or where can i go in person ???? Since we here at TermLife2Go won’t have access to your policy, we simply won’t be able to make the changes that your requesting. What we would recommend that you do is try their Voya’s customer service number which is 1-855-663-8692. I am trying to find out what kind of policy that I have. Could you please let me know. I have forgot all the information about it. It looks like you have purchased a policy directly with VOYA Insurance Company, for this reason, you would need to VOYA directly to determine exactly what type of life insurance policy you have purchased. VOYA’s Life Insurance Customer Service number is 855-663-8692. How can I pay my premium without a bill as left the account at home as am in Florida at the present time for a few weeks. Your best bet will be to contact VOYA directly, we here at TermLife2Go never receive payments of any kind directly from an insured. All payments are to be made directly to the insurance carrier. You may be able to make a payment online using https://www.voyalifecustomerservice.com/elifeportal/welcome.do however we here at TermLife2Go are not 100% certain. How can I pay my premium without receiving a bill as don’t have the account # with me. All billing questions will have to be sent to VOYA directly. They can be reached at 855-ONE-VOYA. I NEEED A COPY OF MY INSURANCE POLICY, THE ONE I HAD MY EX WIFE TOOK. I NEEED TO CHANGE THE BENIFIT PAY OUTS. THANKS . MY POLICY NUMBER IS AD********. MAILING ADDRESS IS 16** ********. You will need to contact Voya directly in order to obtain a copy of your policy, they can be reached at 855-ONE-VOYA. Assuming you have a policy with VOYA, you will need to contact them directly to obtain a copy of your policy. They can be reached at 855-ONE-VOYA. Just give us a call when you have a chance and we’ll see what will work out best for you.